CMO has been shortlisted for a Customer Service Award by the Western Morning News Business Awards. CMO has successfully navigated the challenge of giving outstanding customer service via an online marketplace, in a predominantly face-to-face industry. With the best technology, recruitment and customer experience, we’re committed to helping customers. We call back when we say we will and go the extra mile to make sure customers are happy. In 10 years we’ve grown to employ over 90 staff and our turnover grew 50% to £27million in 2017. 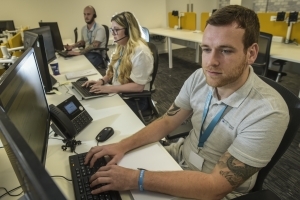 The team answers 4000 calls per week on average. We’ve answered 140,000 calls this year, and ‘calls answered’ rate is up from 71% to 91% due to investment in a new phone system. In addition, ‘call wait time’ has almost halved, from 35 to 18 seconds. We increased our investment in email software by implementing help desk software. This means that in over 600 emails sent every day, we ask people how they would rate us -either ‘great’, ‘ok’ or ‘not good’. 90% of customers rate us ‘great’. We use Trustpilot, the world’s most powerful reviews platform. Employees are empowered to resolve negative reviews or complaints and issue refunds where appropriate. We track every enquiry, from social media to Google reviews and listen to and care about our customers. We understand the inconvenience they face when things go wrong and do our best to put things right. Research tells us that traditional over-the-counter merchants don’t give customers the level of product knowledge and service they need. Our customer service policy was introduced to consistently and rigorously monitor feedback. We ask every customer for a review and act upon what they tell us. Using tools such as our help desk software and Trustpilot (from 2012) no feedback is ignored. Recruitment is focused on individuals with exceptional customer service backgrounds. New employees are buddied up with experienced team members to gain industry knowledge. All team members receive regular in-depth product training from suppliers. 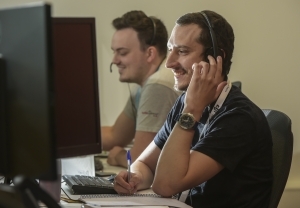 CMO’s commitment to customer service ensures we maintain a unique top spot in the UK. 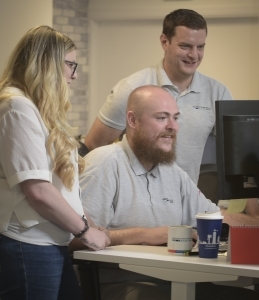 We have challenged traditional building merchants by providing the convenience of online shopping, with human customer service and comprehensive product knowledge. Our reviews show consistently high levels of customer service. The sheer volume of reviews speaks for itself. Our competitors don’t score as highly, nor do they maximise the opportunity to listen to their customers in the way we do. The team of customer service advisors works in each of our four specialist superstores supplying roofing, drainage, insulation, and doors. As people, they are helpful, friendly and willing to go the extra mile for our customers. The award ceremony takes place at Crowne Plaza Plymouth on 22 November.